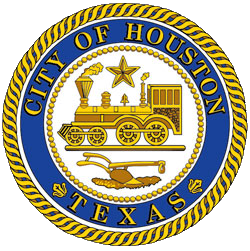 Mayor Sylvester Turner announced today the City of Houston is partnering with the Houston Relief Hub and several local nonprofit groups to connect furloughed employees living in Houston with much needed assistance during the U.S. government shutdown. Thousands of employees in the Houston area have been out of work since Dec. 22, 2018, and may be struggling to pay living expenses and provide basic necessities for their loved ones. Beginning Tuesday, January 22, furloughed federal employees in need of immediate assistance may apply for a $100 voucher and obtain information about organizations and private sector companies that are providing special assistance. At the same time, the public will have one central location to make donations such as non-perishable food, cleaning supplies, diapers and gift cards or cash. This information will be posted at as resources become available. No city financial resources will be used for this project according to Mayor Sylvester Turner. “There appears to be no end in sight to the longest government shutdown in US history, and we want to do our part to help fellow Houstonians in their time of need,” Mayor Turner said. “We will be connecting individuals with resources and information on how to apply for immediate assistance. We hope to ease the burden of federal employees who, through no fault of their own, are being forced to make a huge personal sacrifice.” The Houston Relief Hub will coordinate volunteers to accept and process donations according to founder Bill Baldwin. “Just as in the days following Harvey, we understand the shutdown has an exponential effect on individuals and families. Our goal is to connect those who desire to help their fellow Houstonians with those who need our help, and vice versa, while sharing resources to ensure basic needs are met. All are encouraged to contact us in this uncertain time to see how we can support one another,” Baldwin said. A list of available shutdown assistance resources may be found on the Houston Relief Hub website https://houstonreliefhub.org/. The list will be regularly updated with information helpful to furloughed federal employees. Houstonians are also encouraged to submit tips about shutdown-related resources and deals to help@houstonrefliefhub.org.